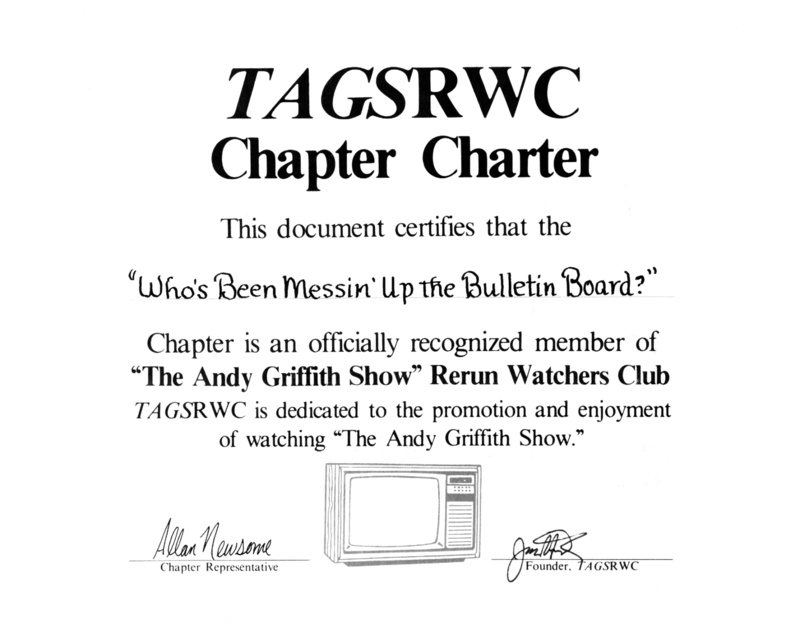 You can now download and print your own copy of our "official verification" from TAGSRWC Headquarters that WBMUTBB is a chapter in good standing. I recommend printing out a copy of the charter on some parchment paper. It looks really good if you do. I hope you'll enjoy adding this to your collection of Mayberry fun. You can click here to download the WBMUTBB Chapter Charter.